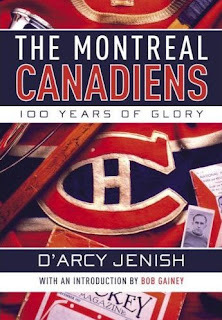 D’Arcy Jenish is the author of Epic Wanderer: David Thompson and the Mapping of the Canadian West , the award-winning Indian Fall: The Last Great Days of the Plains Cree and the Blackfoot Confederacy, and the bestselling The Stanley Cup: A Hundred Years of Hockey at its Best. I'm not too familiar with D'Arcy Jenish, but he is favorably reviewed for his past work as a meticulous researcher and brilliant and dramatic writer. This book looks real promising.